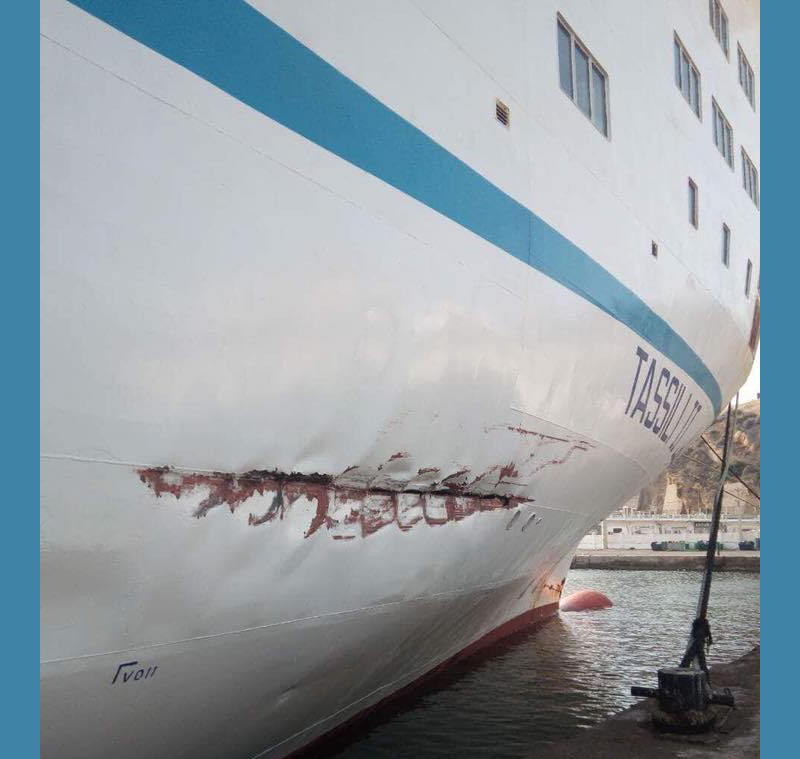 Algerie Ferries’ ro-pax TASSILI II collided with a berthed cargo ship shortly during its departure from the port of Oran, on 31 August. The impact created a breach of four meters, above the waterline. Repairs have been executed by the local shipyard ERENAV, under the supervision of Bureau Veritas inspectors. The ferry was able to sail for Alicante the same evening.